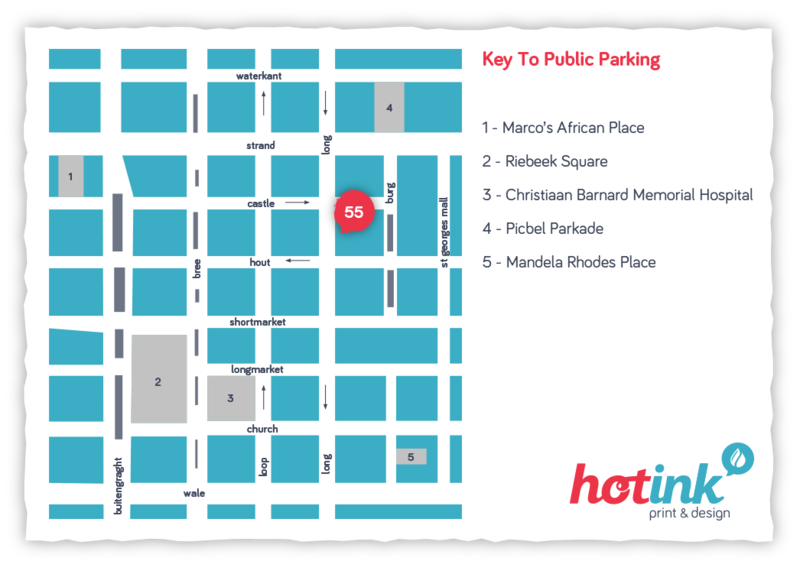 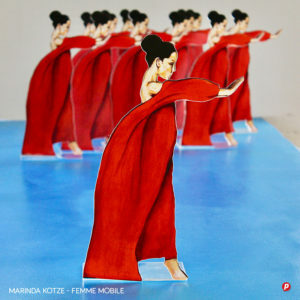 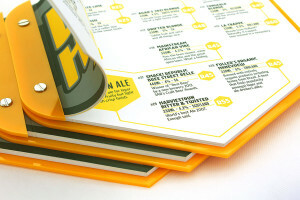 At Hot Ink we are not afraid to think out-of-the-box and partner with our clients to create unique custom projects. 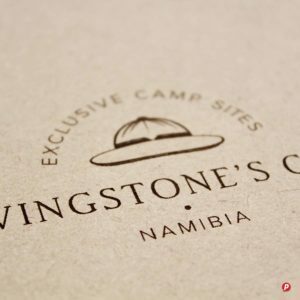 If it’s something special and different that you need but aren’t quite sure how to create it, we will brainstorm it with you, offering practical suggestions and making use of the design skills, experience and resources that we have accumulated over the last 20 years. Some of the materials that we have worked with include paper, wood, perspex, leather and glass. 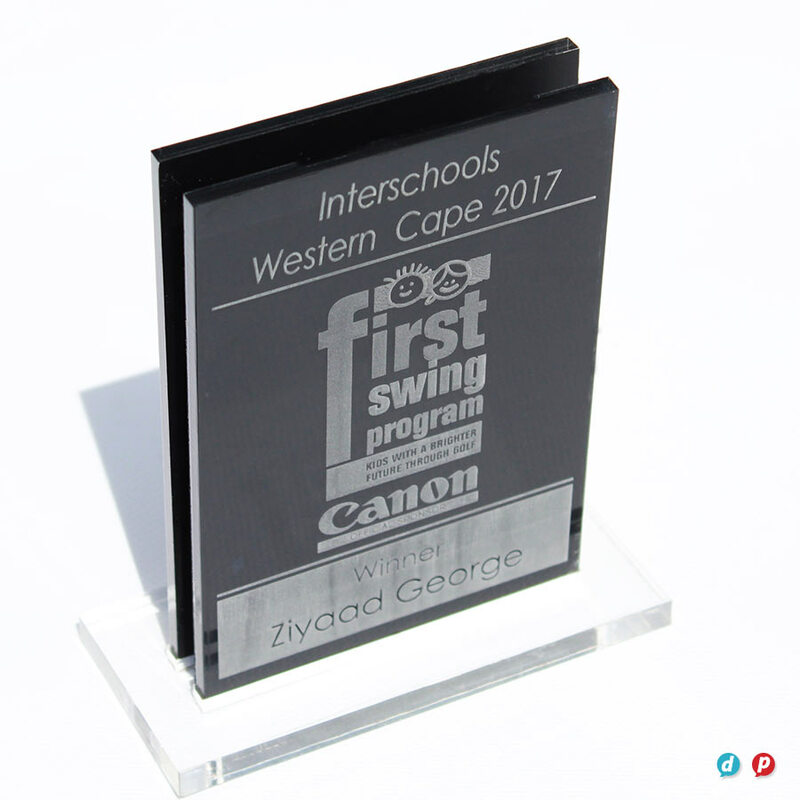 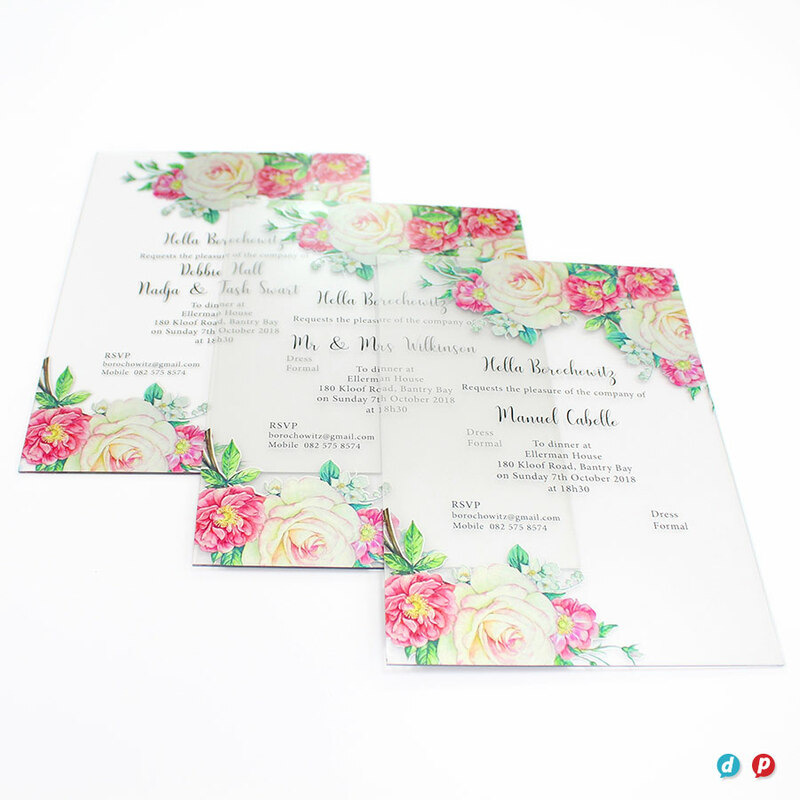 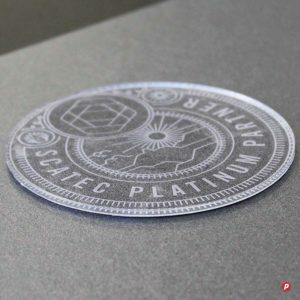 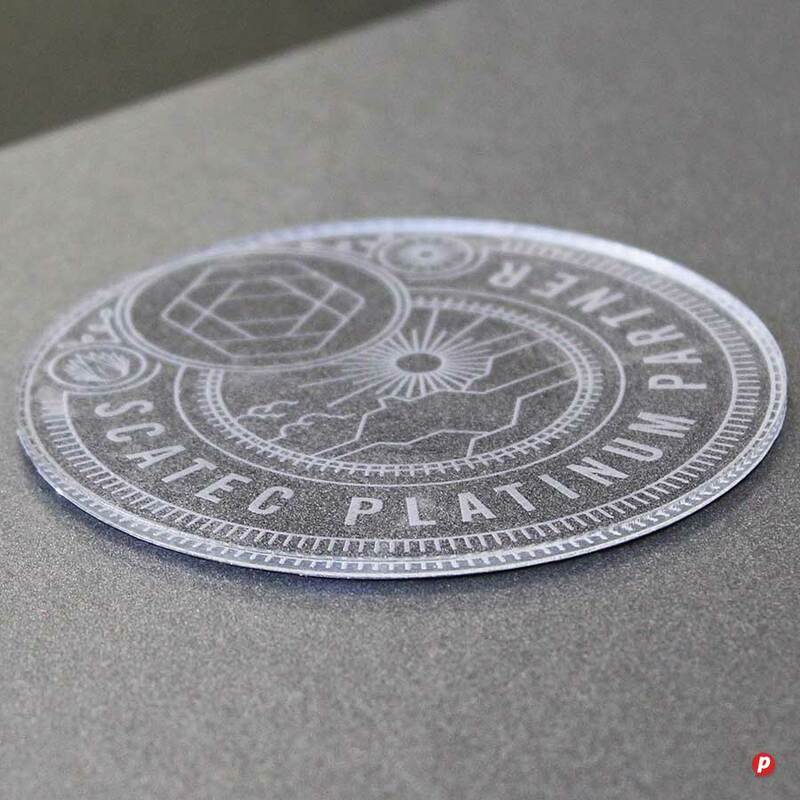 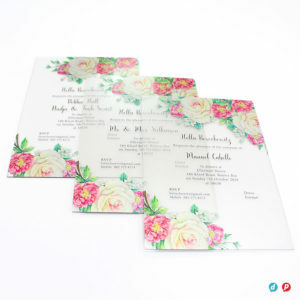 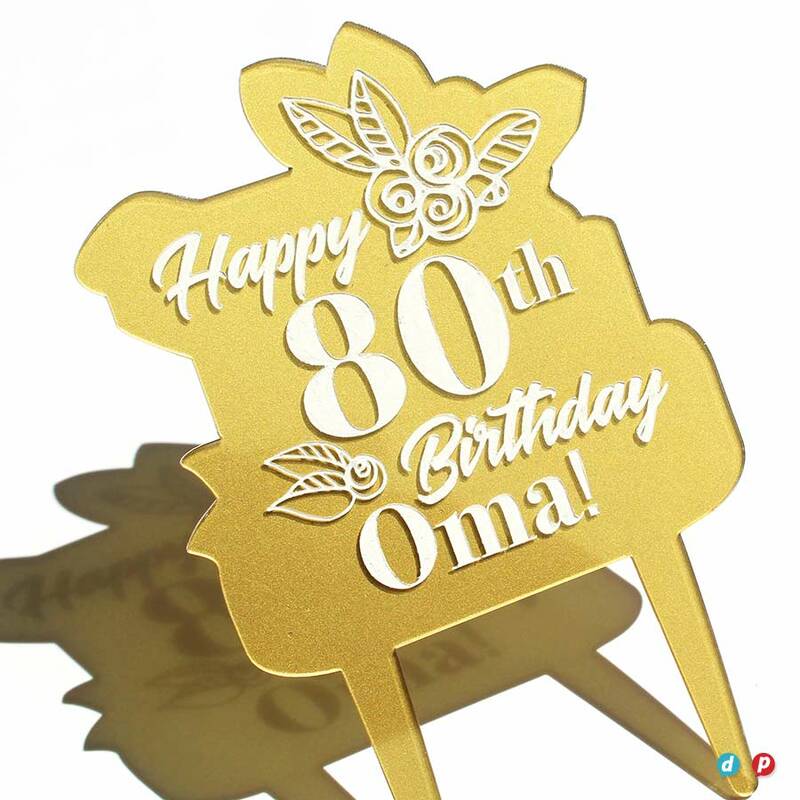 The ability to print and laser-cut/etch on site; apply metallic ink to digital printing; as well as the level of handwork and logic that we offer, means that magic results can often be created within a very short time frame. 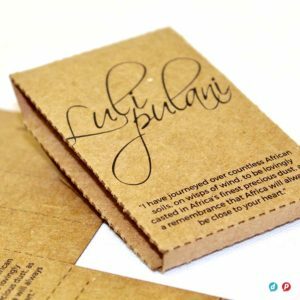 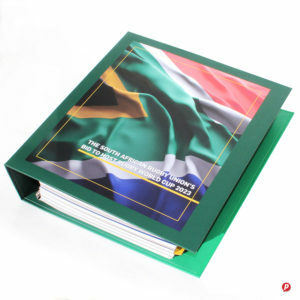 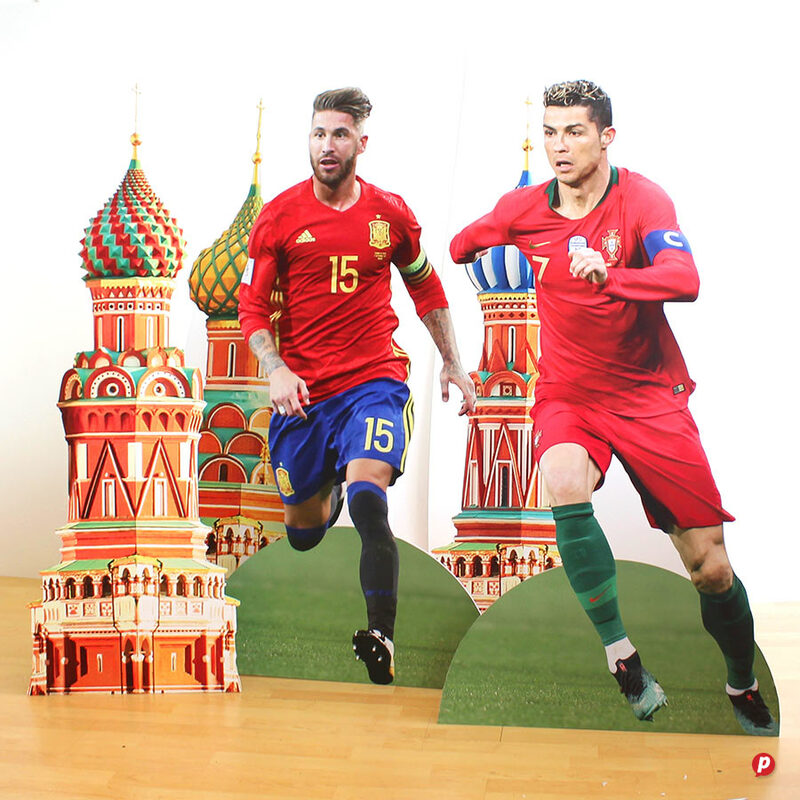 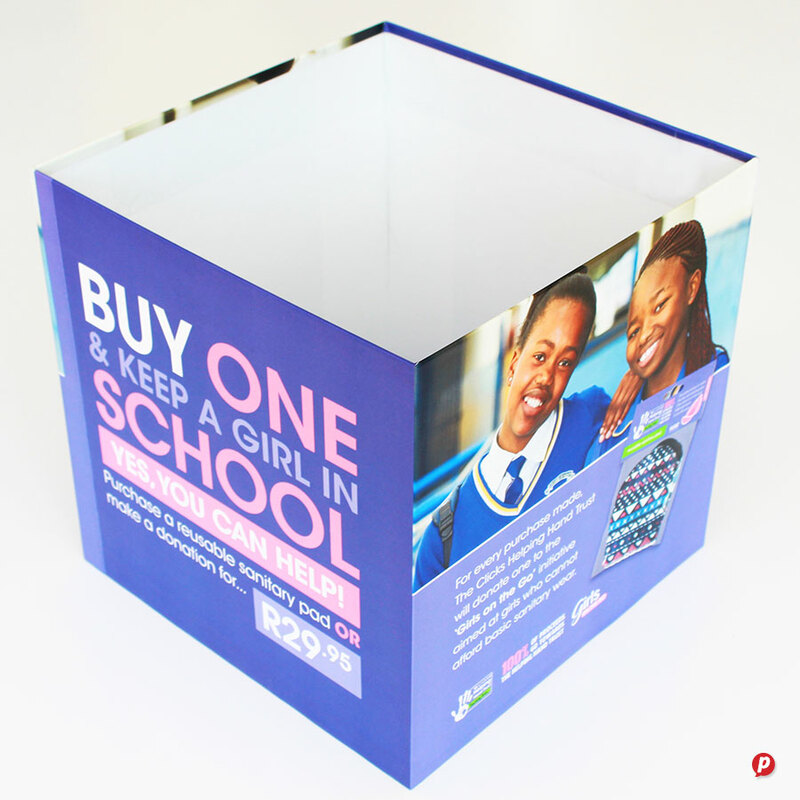 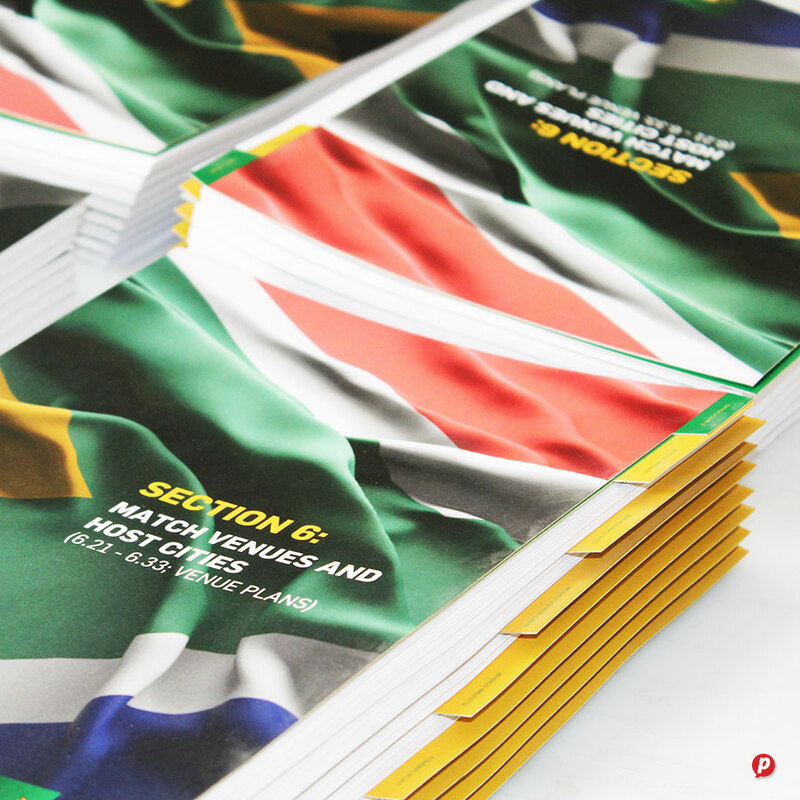 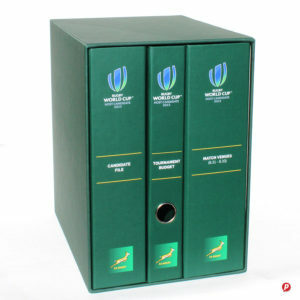 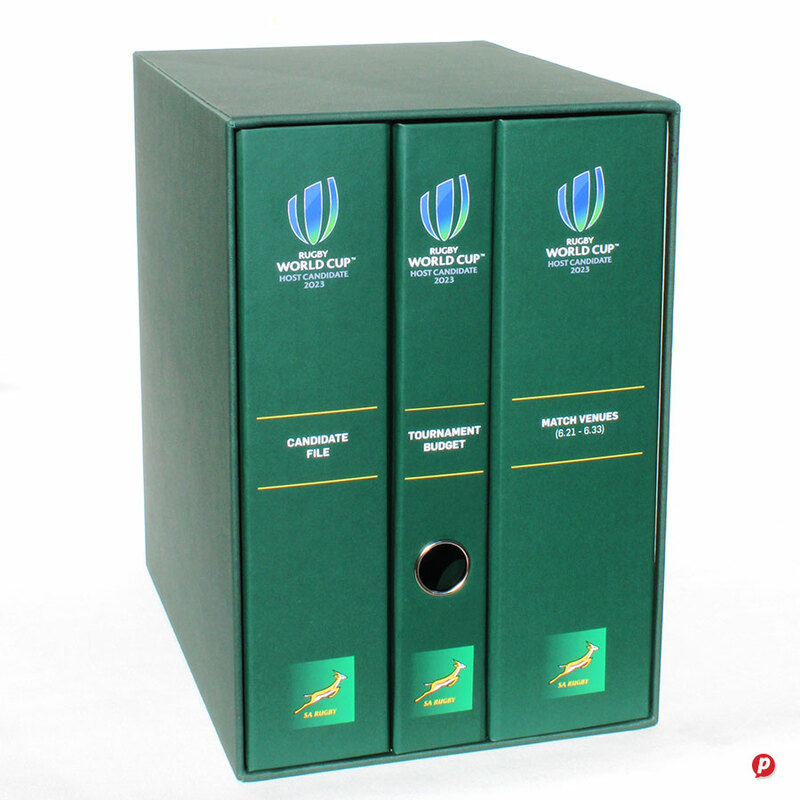 From producing the custom folders for the SA Rugby World Rugby Cup Bid 2023 and life-size football players in 2018, to weird and wonderful boxes and beyond, we continue to pioneer new solutions for those more unusual requests. 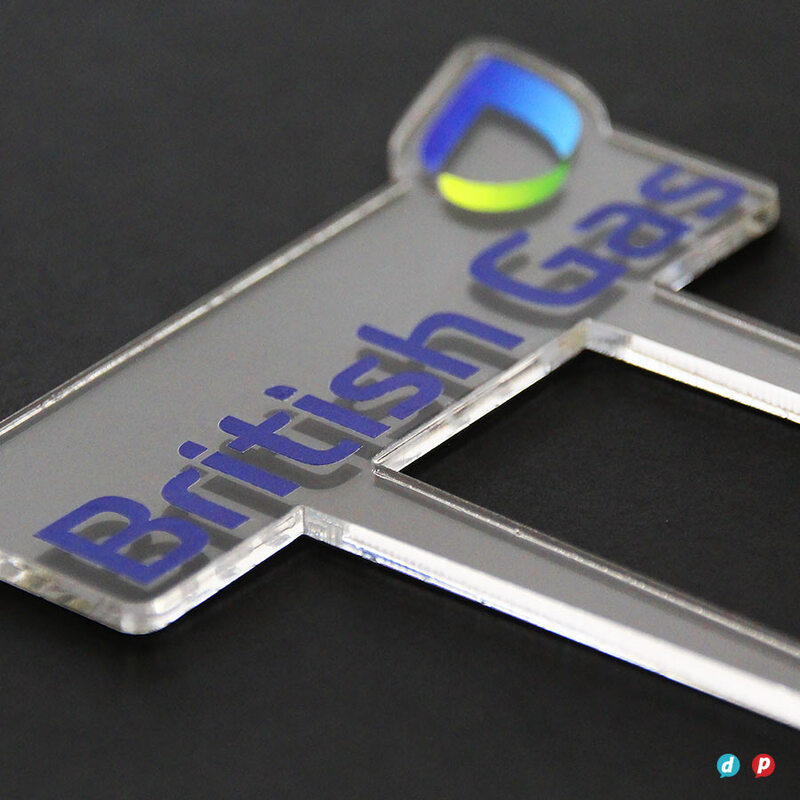 Scroll down to view our latest projects or chat to us next time you have brief without a solution – we just love a creative challenge! 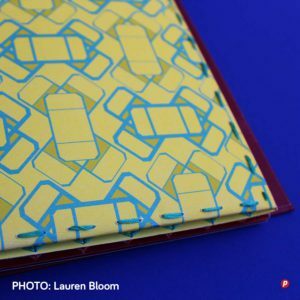 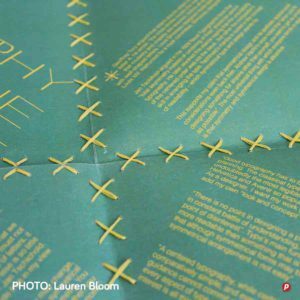 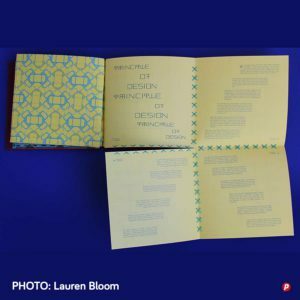 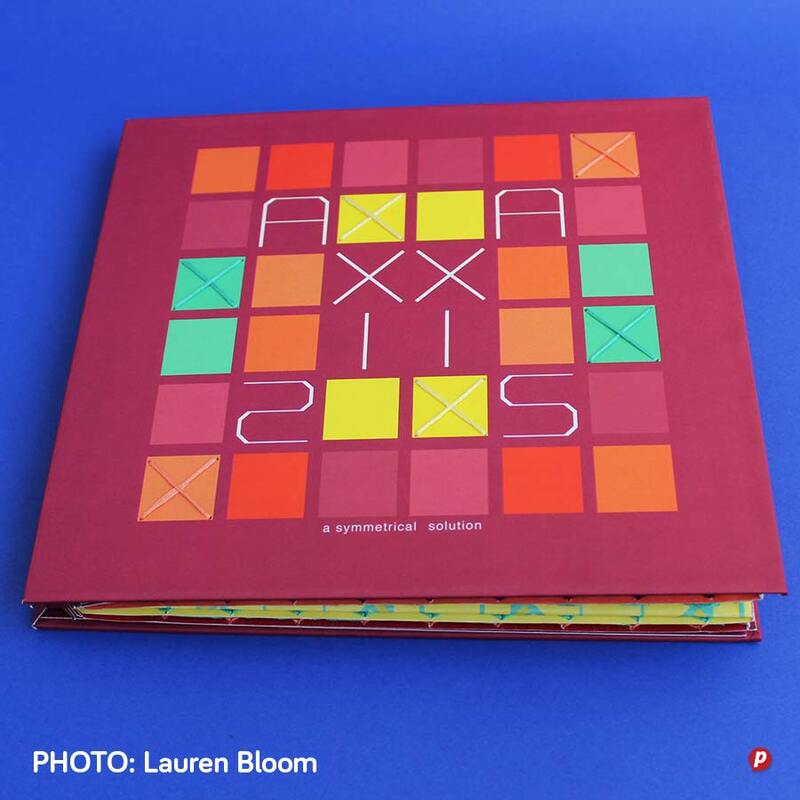 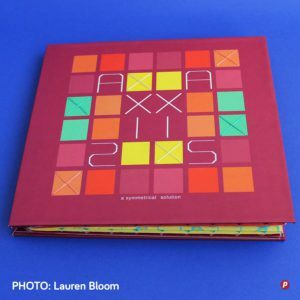 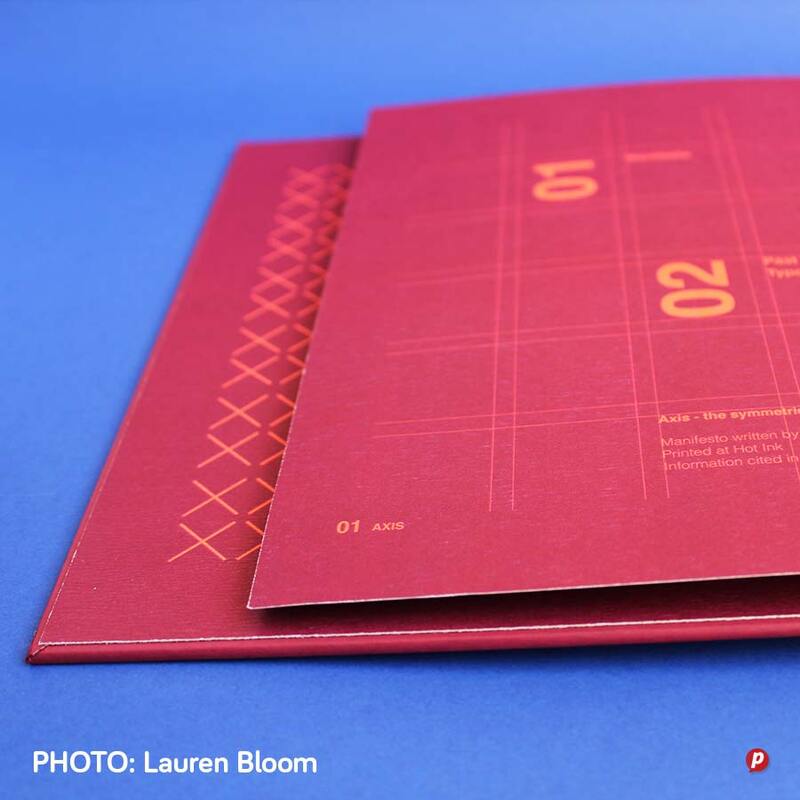 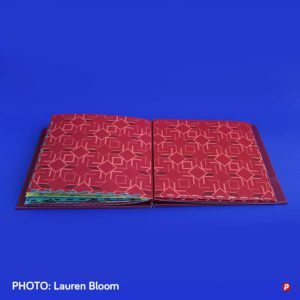 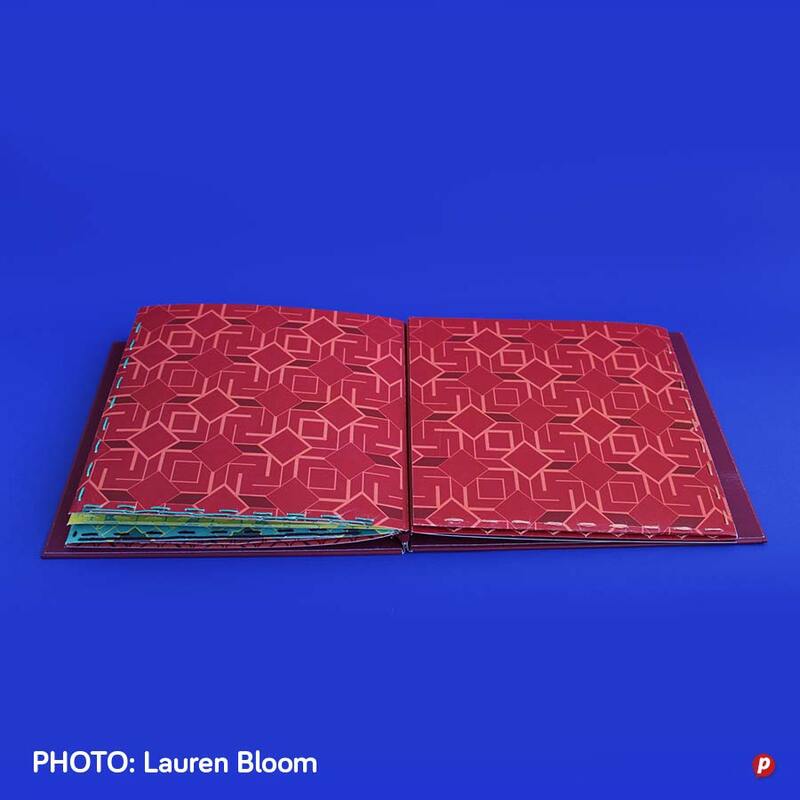 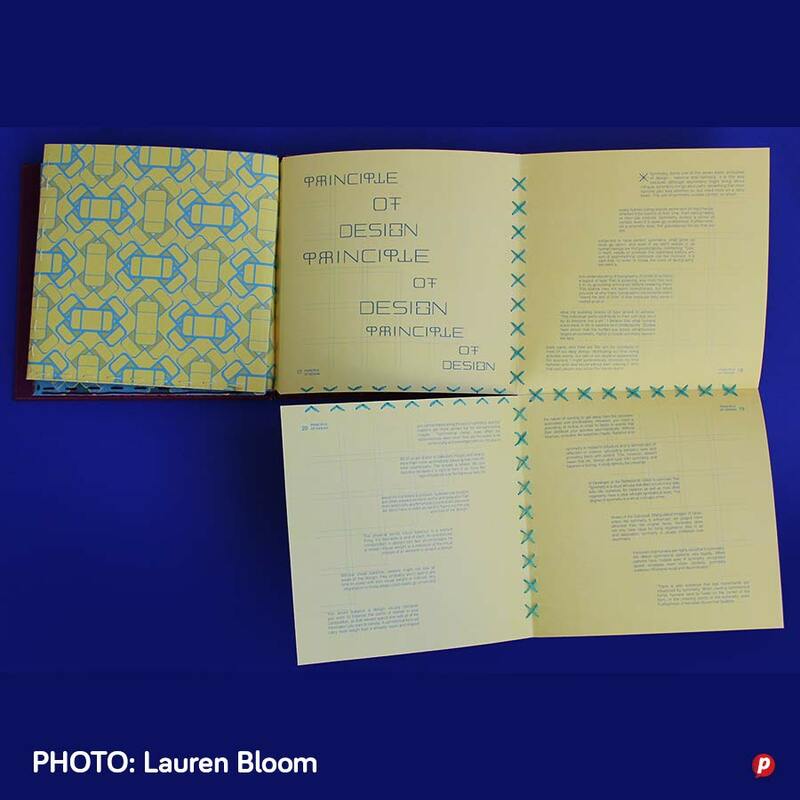 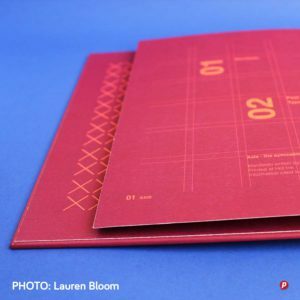 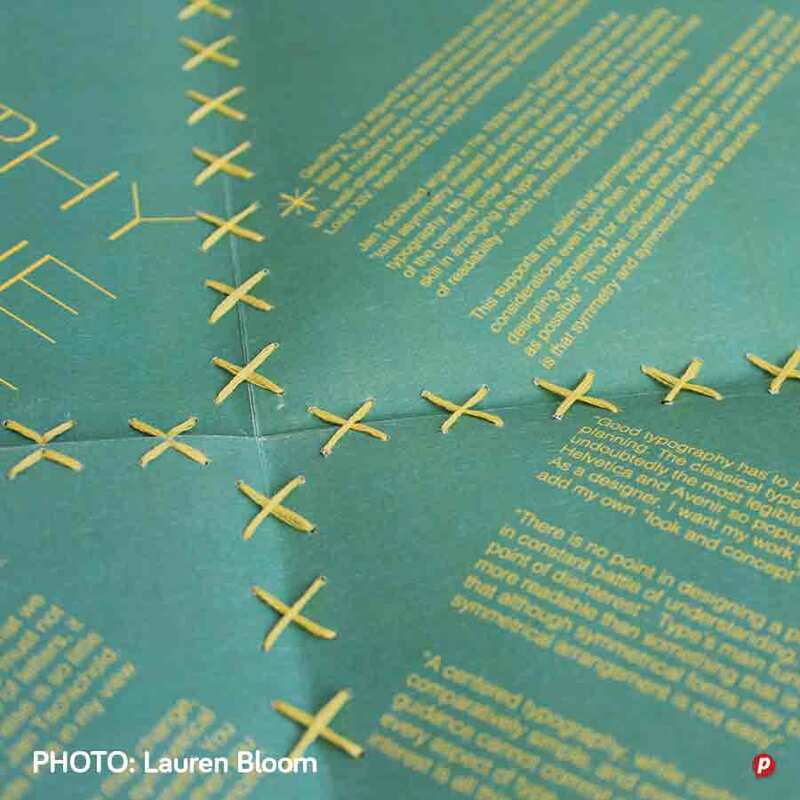 Design student, Lauren Bloom, completed a challenging book printing project with us that involved her hand-stitching the finished product. Rigid case-bound covers provided the necessary support for this very adventurous submission. 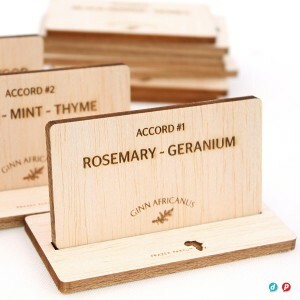 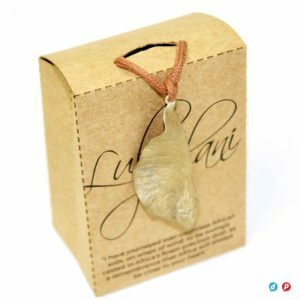 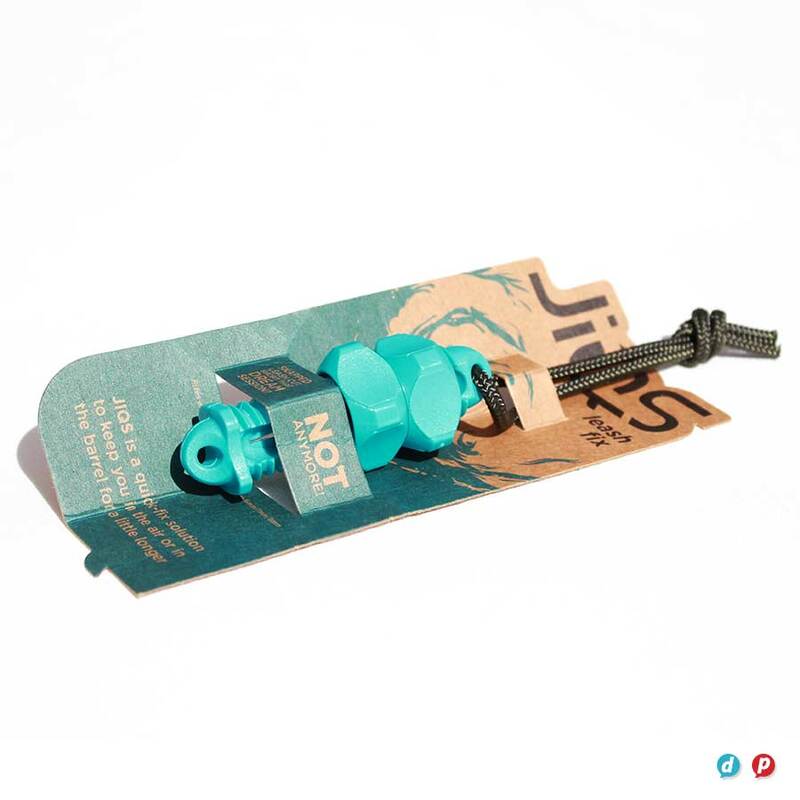 DESIGN CHALLENGE: create packaging for handmade jewellery that functions as both a display stand as well as a flat pack solution for transportation once purchased. No simple task! 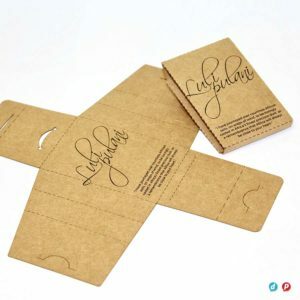 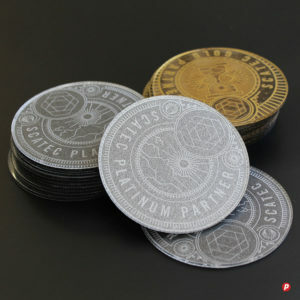 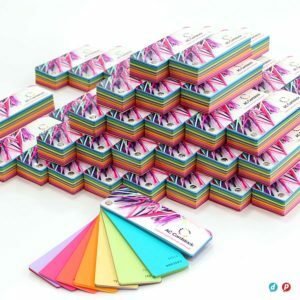 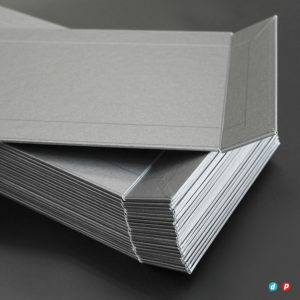 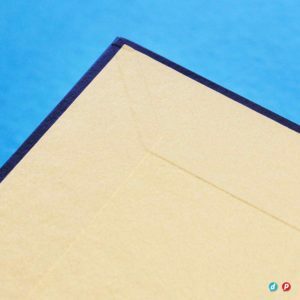 However, JP’s solution is something which is not only cost effective and simple to fold together, but looks appealing and totally matches the unique style of the product. 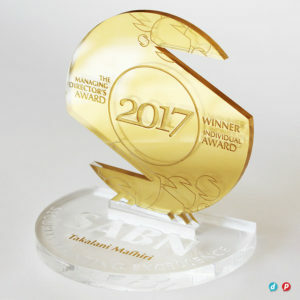 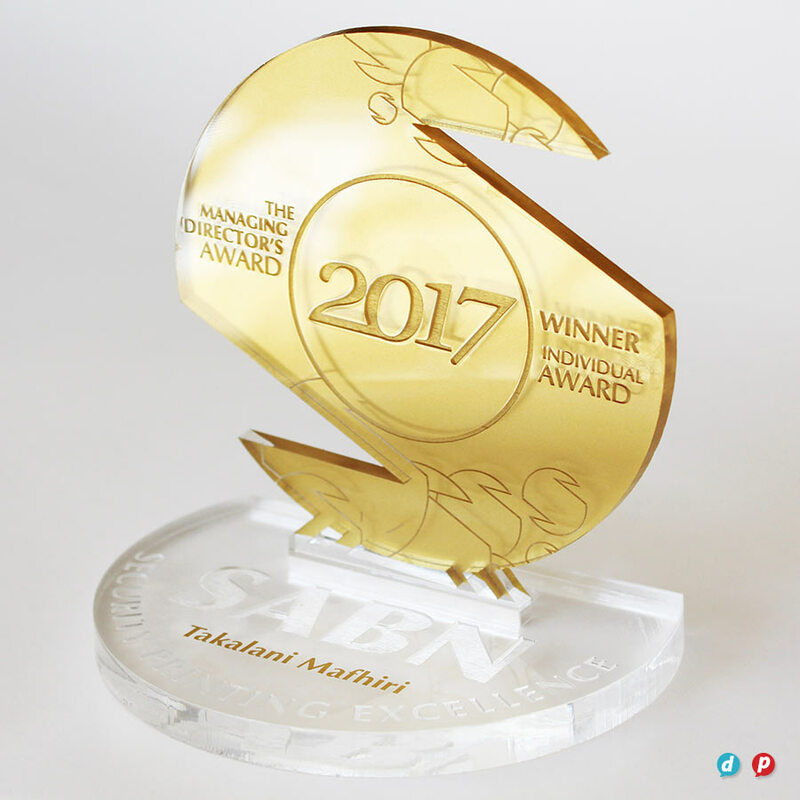 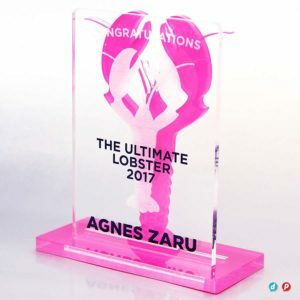 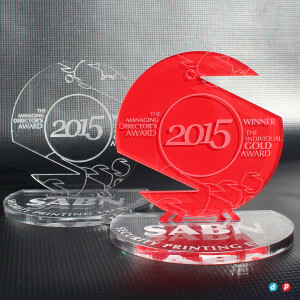 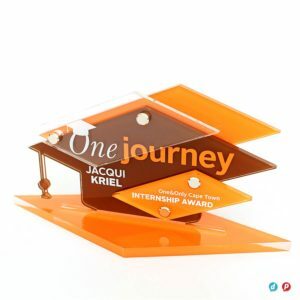 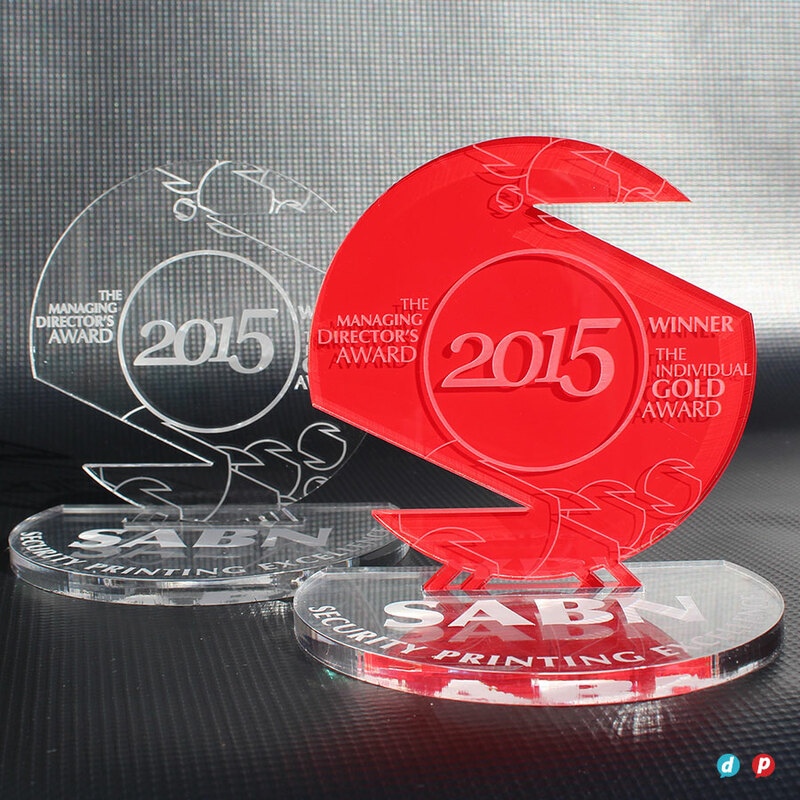 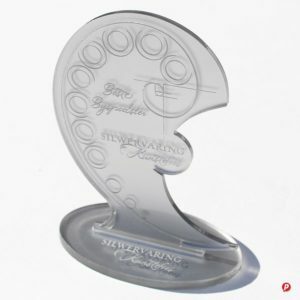 The unique nature of trophies and cake toppers means they ideally need to be custom made in small quantities making it an expensive process. 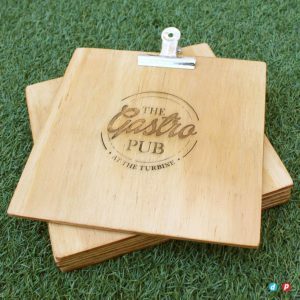 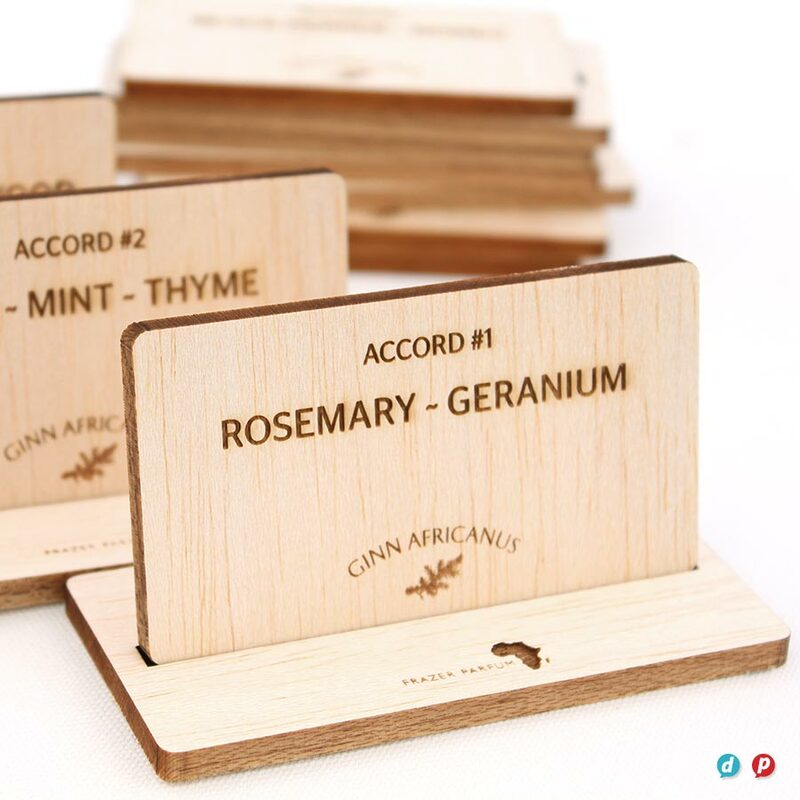 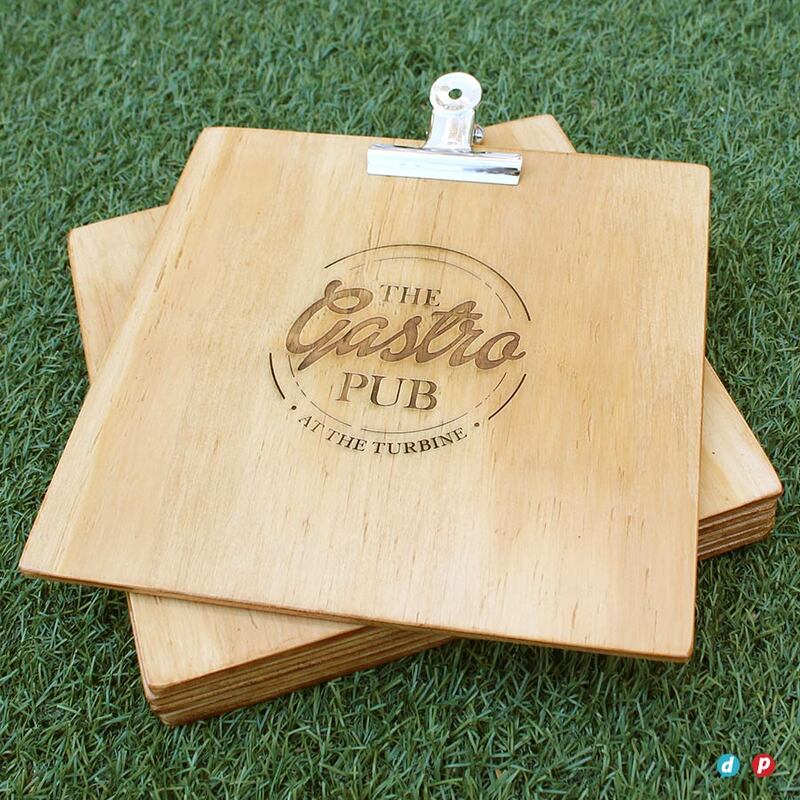 However, with some creative input and experimentation with perspex; vinyl and our handy laser cutter, we have come up with some simple, yet super effective results that come in well within budget. 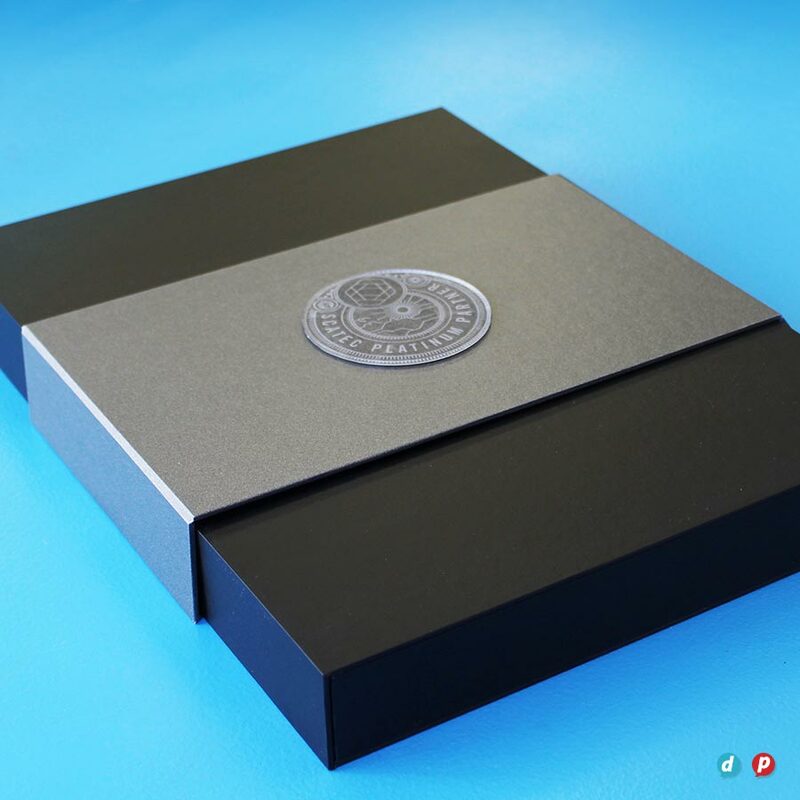 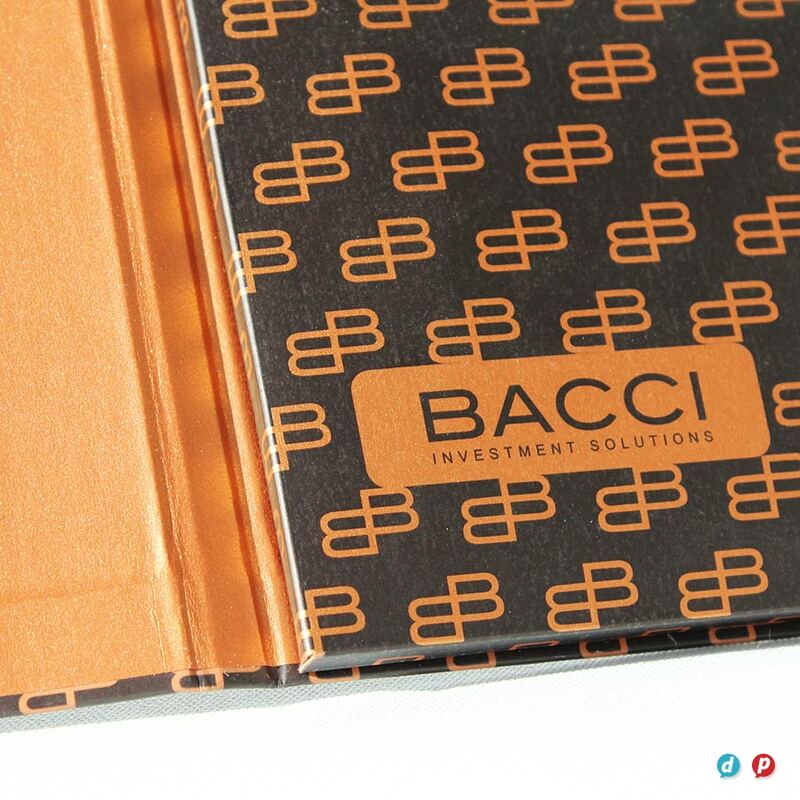 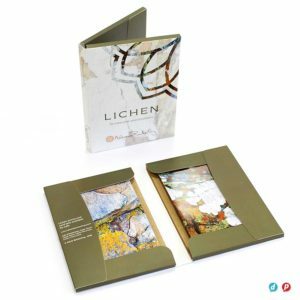 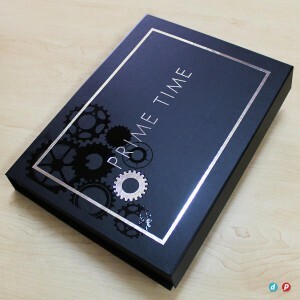 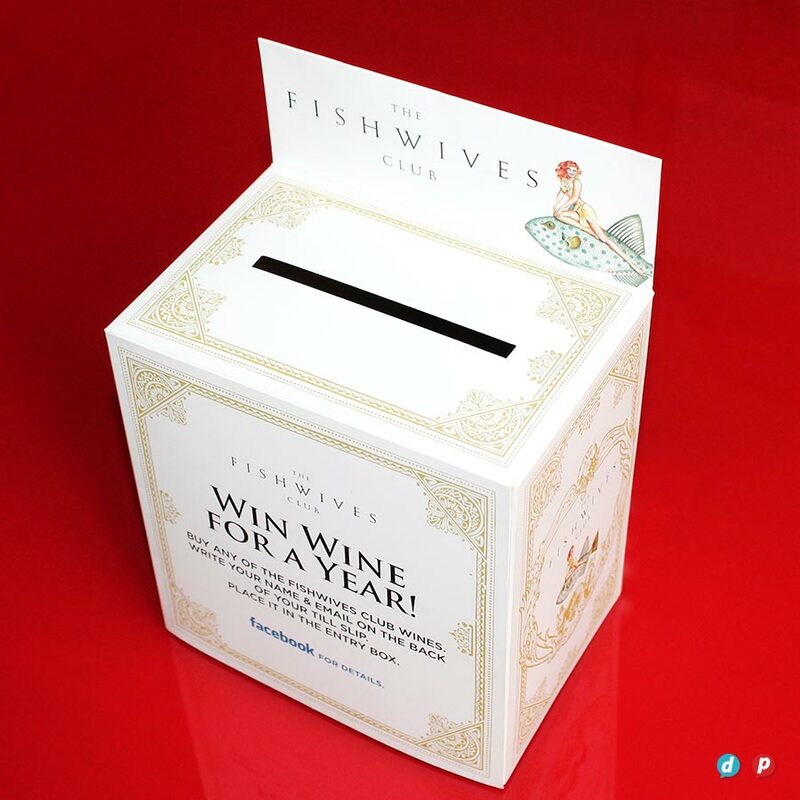 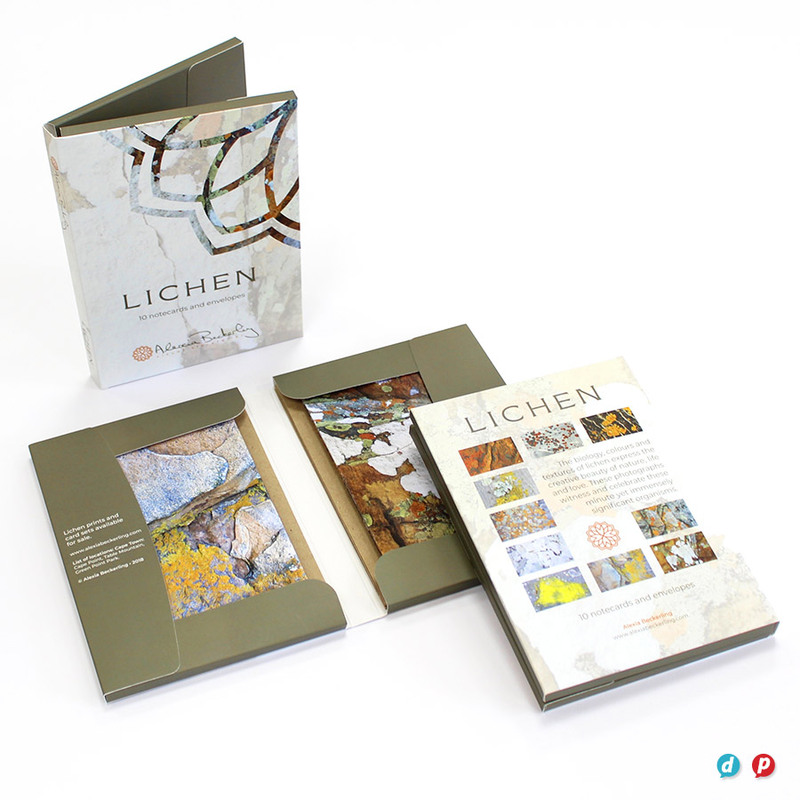 DESIGN CHALLENGE: create a premium quality presentation box with a hinged lid. 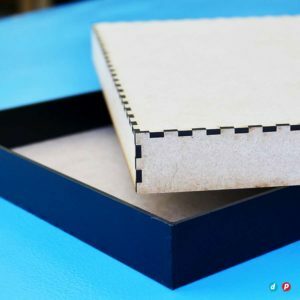 The solution once again involved our handy laser cutter: both for the formation of the vinyl wrapped boxes as well as the creation of the perspex badges to go on the lid. 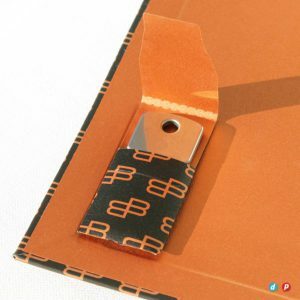 Andrews’ genius magnetic closing system keeps the lids tightly closed and the final handcrafted result; with its gold vinyl inner covers; is a truly premium product. 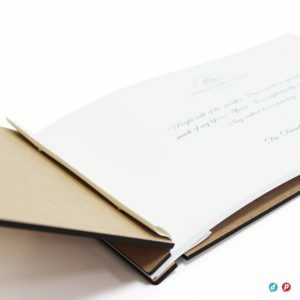 Custom menus and invites for a once-off function, each containing unique information, this Cordon Bleu chef-in-training needed a special solution. 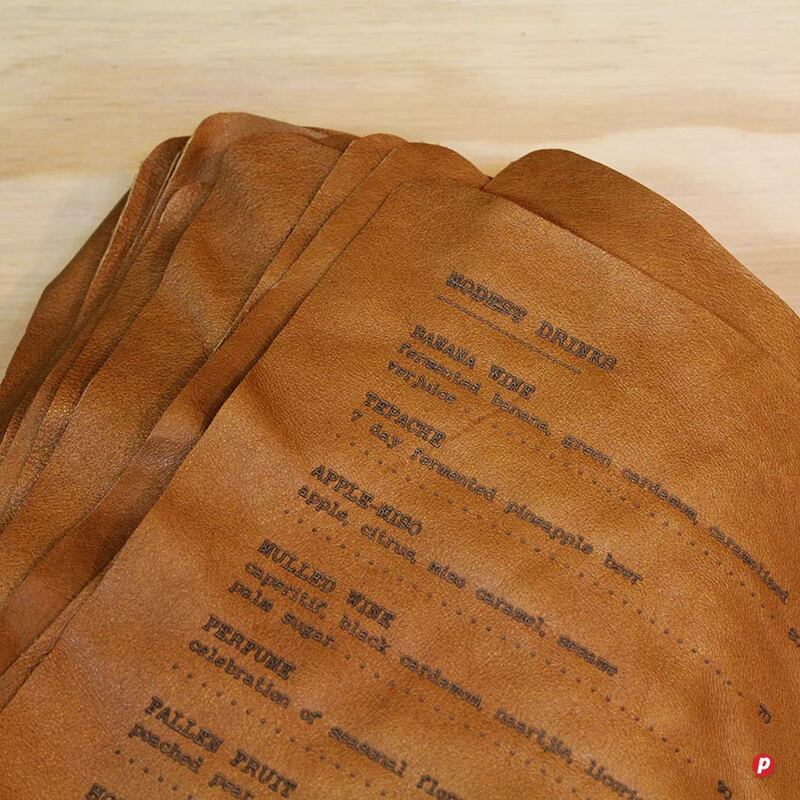 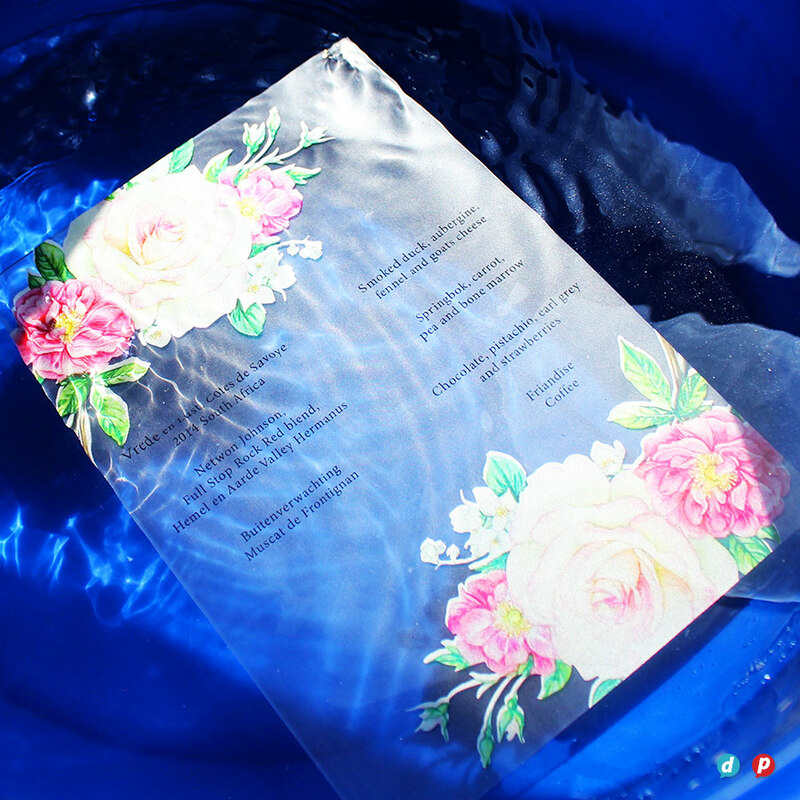 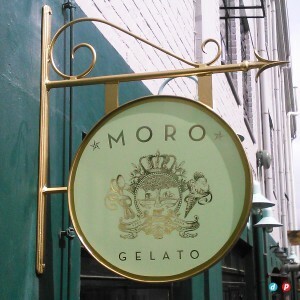 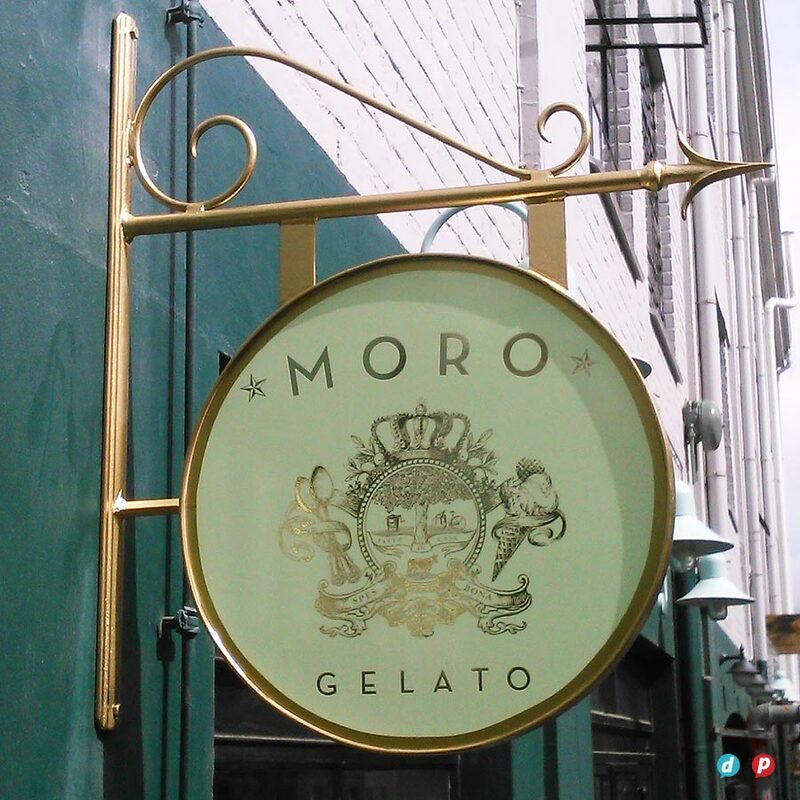 The result was a truly waterproof menu printed with metallic silver onto vinyl and applied to clear perspex. 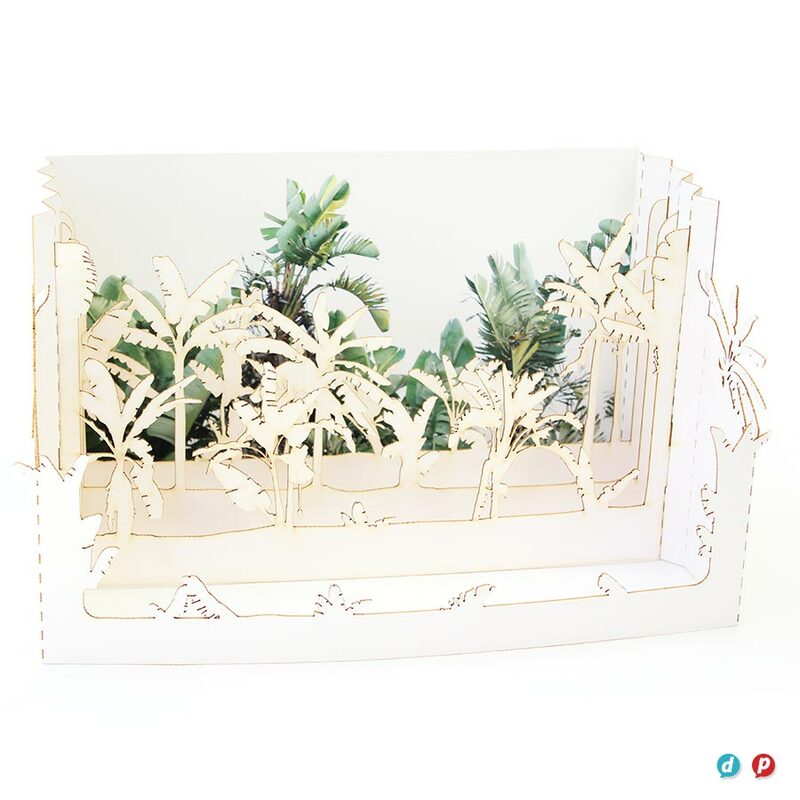 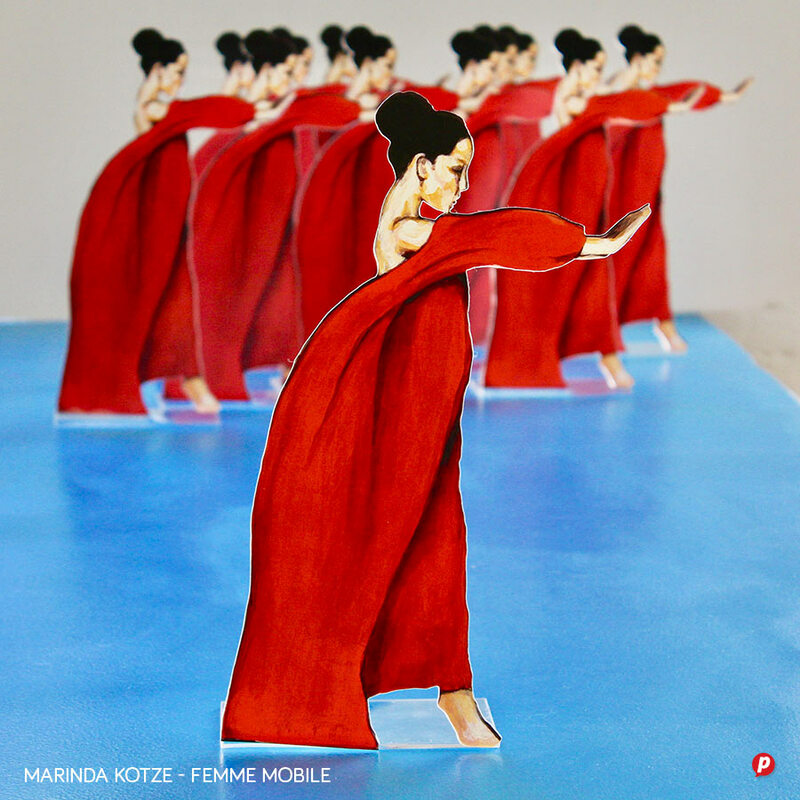 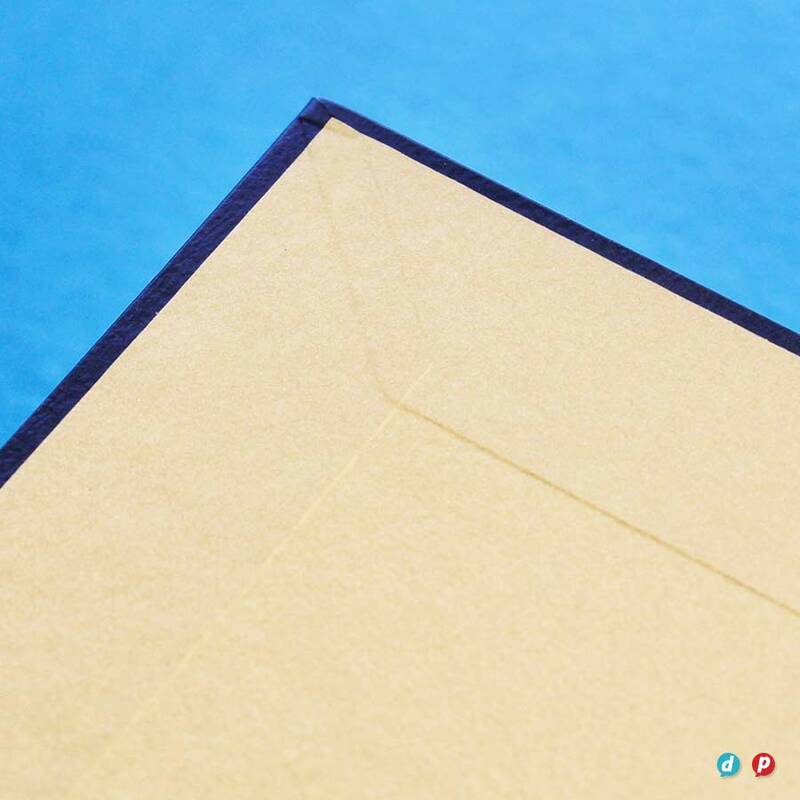 DESIGN CHALLENGE: create custom packaging to hold luxury greeting cards and envelopes. Not only did we do the design and layout for the whole project, but the initial prototype was so successful that we produced another 100 units for retail as part of the pilot project. 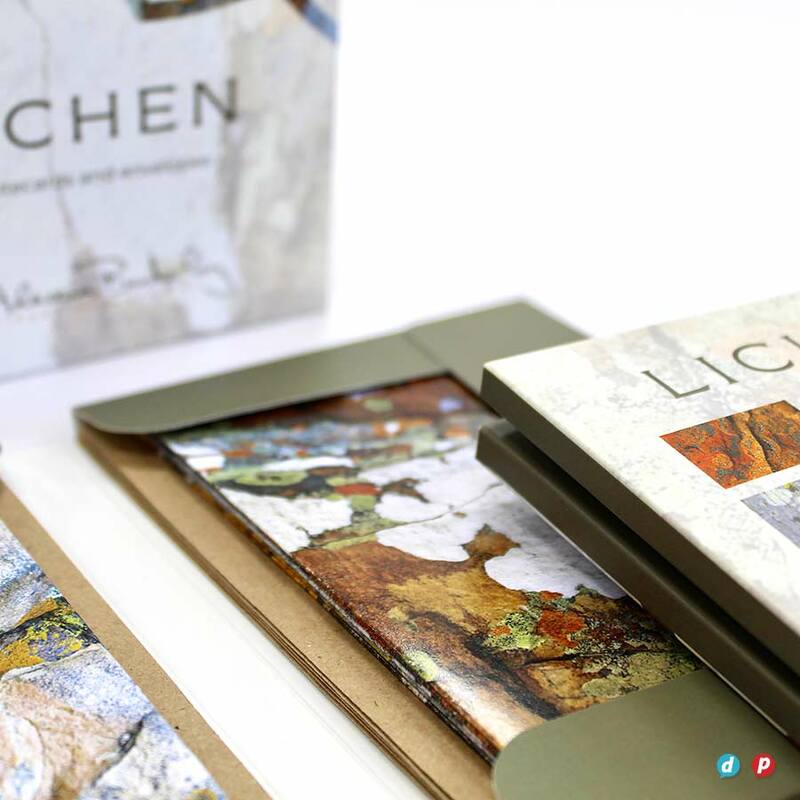 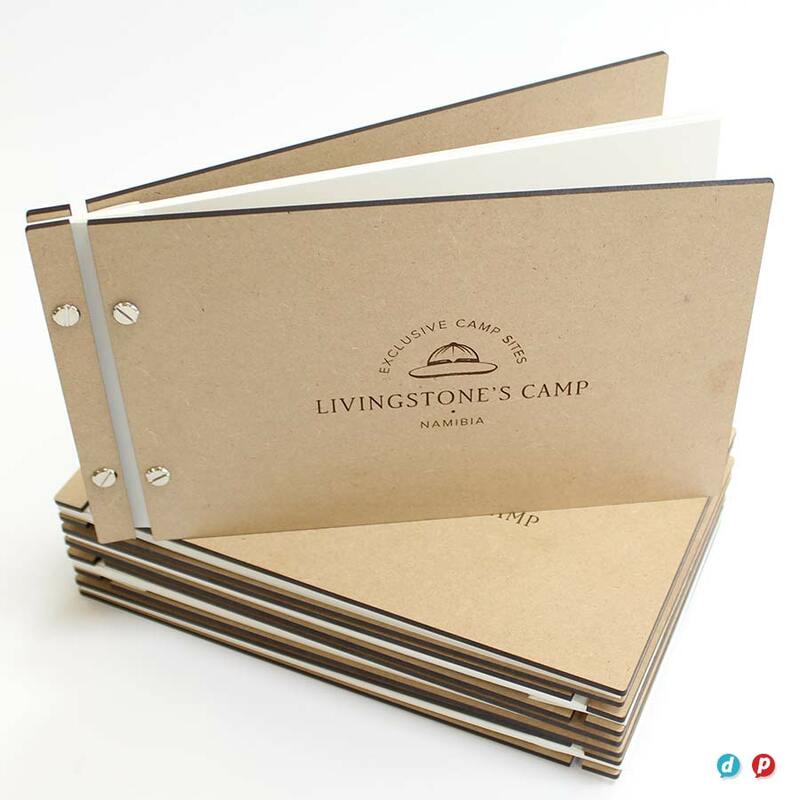 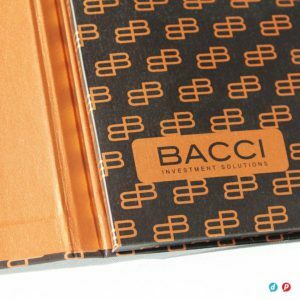 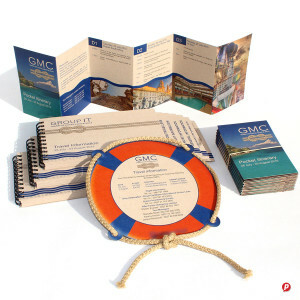 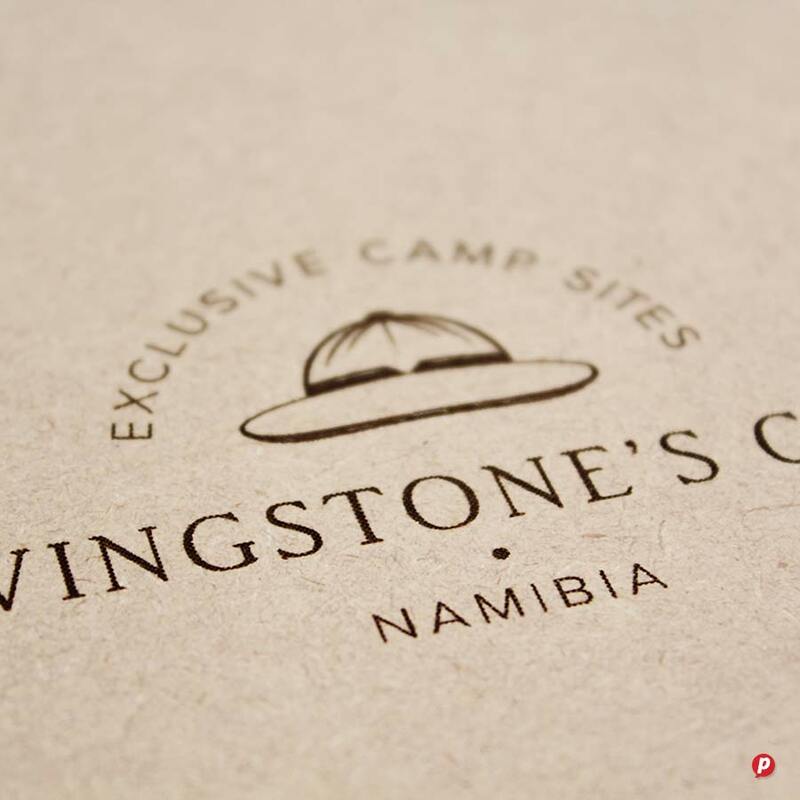 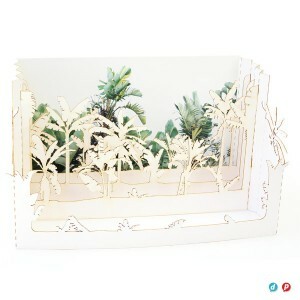 DESIGN CHALLENGE: create a custom info book for a luxury safari camp that was earthy and natural looking, yet durable. We came up with a hinged cover out of MDF board with a laser-etched logo on the front, and bound together with nickel interscrews. 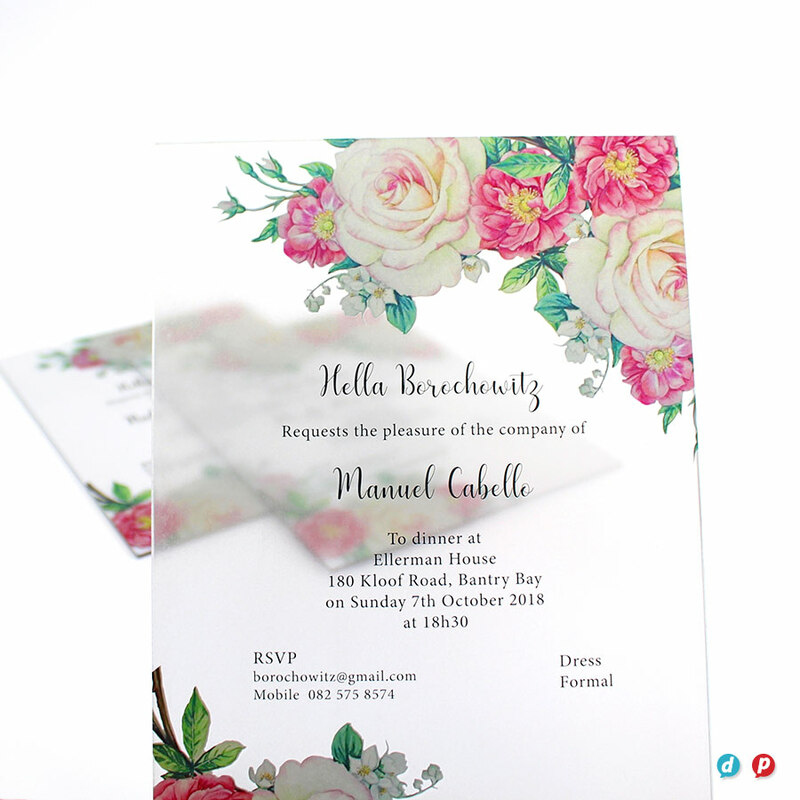 Client was thrilled with the unique result.